WINNIPEG, MB., April 9, 2015 –The Winnipeg Blue Bombers announce today the club has added Winnipeg native, and National receiver Jordan Reaves. Reaves (6-5, 220, Brandon University, January 25, 1990, in Winnipeg, Manitoba) starred in basketball at Brandon University from 2009-2014, before spending two months in Slovenia and France attempting to play the sport at the professional level. 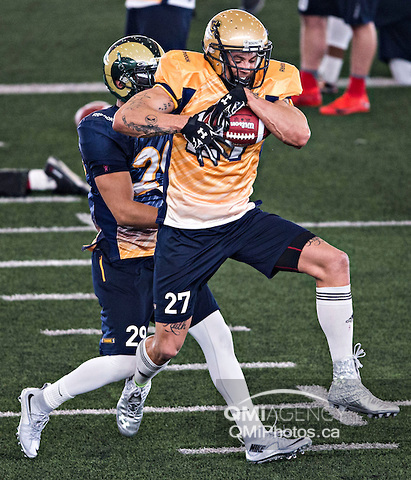 Reaves, the son of Bomber legend Willard Reaves, played football prior to his move to basketball, and worked out for the Bombers a few weeks ago in Winnipeg, and then attended the Edmonton Regional Combine afterwards.